Our more than 60 full-time biologists deliver thorough, defensible biological assessments, and reports using our understanding of federal and state regulations and policies, diverse species and habitats, and the latest survey protocols and technology. We provide a depth of biological expertise, geographic breadth, regulatory contacts, and experience to meet the needs of any project. Our biologists deliver thorough, defensible biological assessments and reports using understanding of federal and state regulations and policies, knowledge of diverse species and habitats, and use of the latest survey protocols and technology. 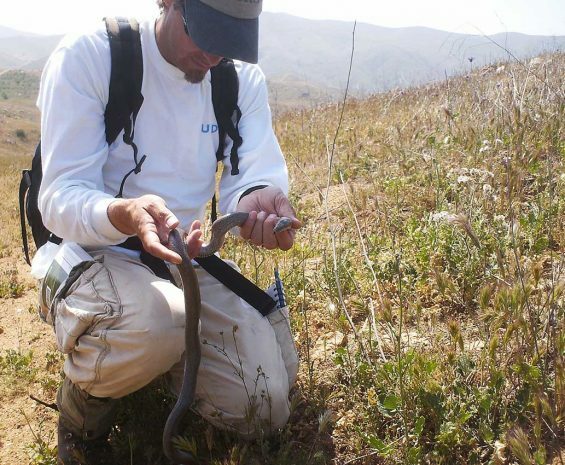 Our staff maintain the state and federal permits necessary to conduct general and focused surveys and develop management plans for almost all special-status wildlife species within California. Using survey data, we characterize habitat values associated with a project site. During project construction, we monitor for compliance with environmental specifications, checklists, and project mitigation monitoring and reporting programs. Four agencies undertook a collaborative planning effort to facilitate renewable energy development across California deserts while conserving natural resources and uses. To reduce costs and increase reliability for its ratepayers, LADWP is constructing a new 500-kilovolt, 10- to 14-mile transmission line.